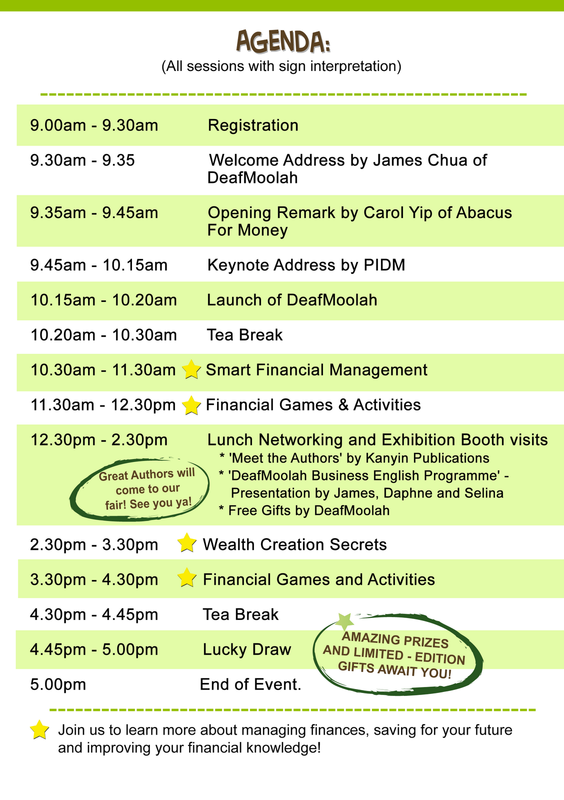 Come and attend one day of fun activities, financial games, and "Meet-the-Authors" with best-selling authors, special workshops and talks by financial experts. 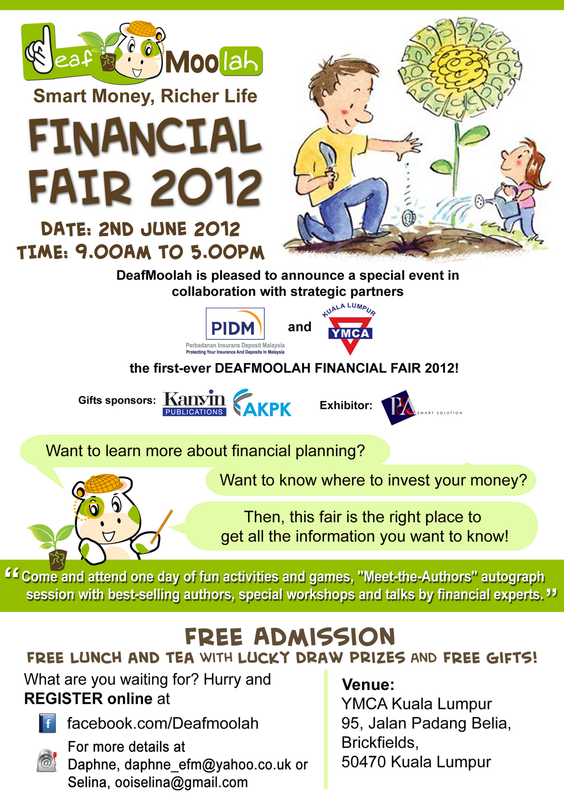 In addition, there is FREE lunch and tea for registered Deafmoolah members only. 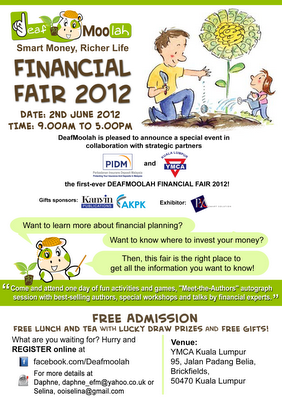 Our theme for this DeafMoolah Financial Fair is ‘Financial Education For Deaf and Hearing-Impaired Persons’ - Join us to learn more about managing finances, saving for your future and improving your financial knowledge! - to help you understand why, what and how financial managment is important for us. LUCKY DRAW PRIZES AND LIMITED-EDITION GIFTS AWAIT YOU. FREE ADMISSION to ALL; Deaf, Hearing-Impaired Individuals, and Hearing people, Families of Deaf, Hearing-Impaired Individuals, Financial Experts & Advisors, Financial Planners, Banks and Financial Institutions! 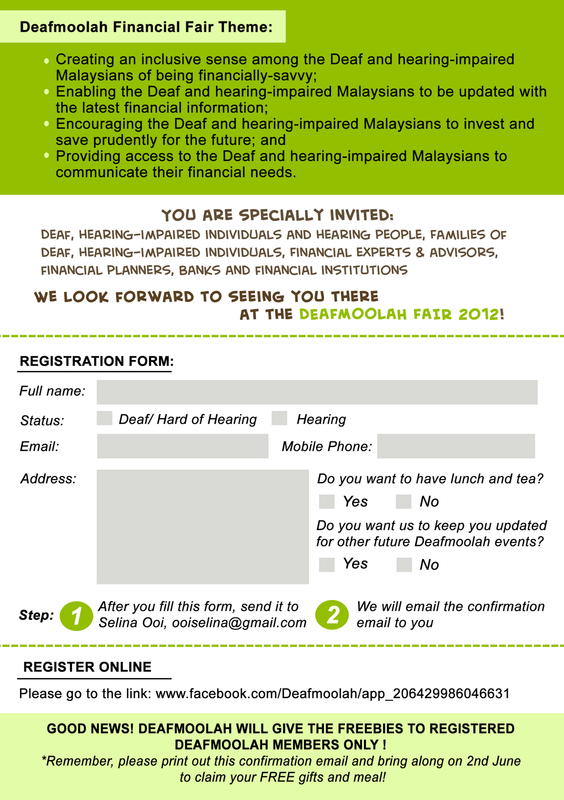 We will launch our official website, Deafmoolah soon! 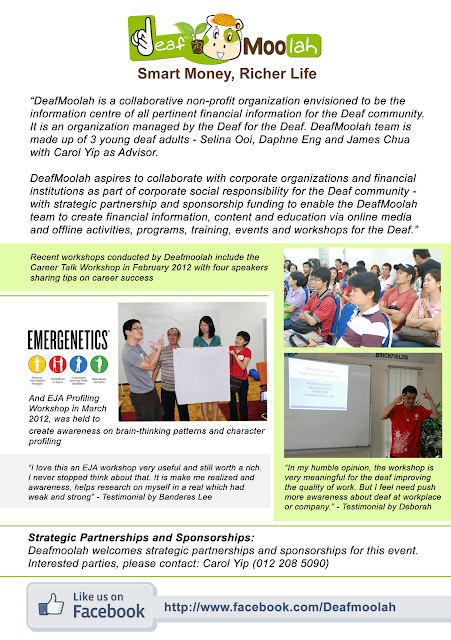 This is an article published by DeafMoolah - a collaborative non-profit organization envisioned to be the information centre of all pertinent financial information for the Deaf community. 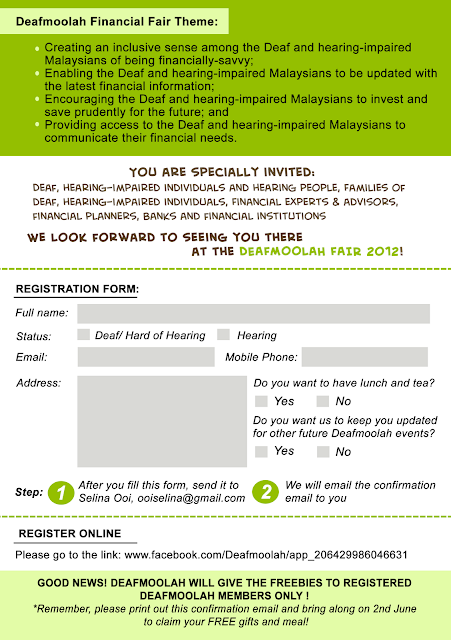 It is an organization managed by the Deaf for the Deaf. DeafMoolah team is made up of Selina Ooi, Daphne Eng and James Chua with Carol Yip as Advisor.